CONTEST!! - wovenplay/bobo choses cape! wovenplay/bobo choses one of a kind cape! Here we go... a little (BIG) contest is going on NOW!! WIN this beautiful cape (size 6) - it is double sided, one side (the blue one) was designed by the talented and creative folks at Bobo Choses and the otherside (the pink one) was designed by the wildly talented Katherine at Wovenplay! 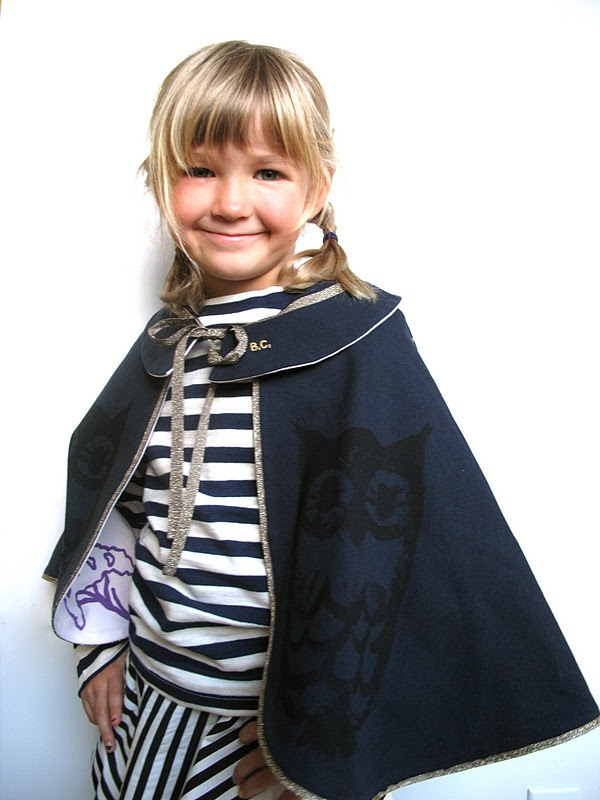 Together they made this BEAUTIFUL cape that would be the delight of any and EVERY six year old!! HERE is HOW you can WIN! Everyone who shops the Wovenplay collection at Nonchalant Mom, NOW through Valentines day will be entered to WIN... sorry to make you purchase something (not a trick) but I want to make sure that I have the TRUE Wovenplay and Bobo Choses freaks out there who I know exist! I know you guys... you follow these ladies very closely and this is the only way I can think of to cut to the chase and find YOU, yes YOU... Wovenplay and Bobo Choses enthusiasts! We will announce the winner on my blog on Valentines day.. and just to make it ALL a bit easier on you we JUST marked down the Winter collection... so jump in and you can WIN!!! 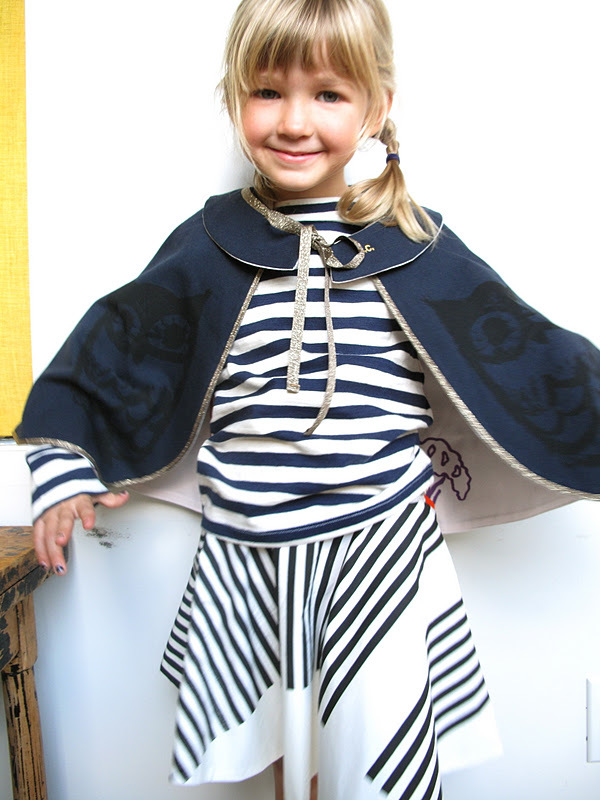 wovenplay/bobo choses cape together with wovenplay stripe l/s t-shirt and gide skirt! 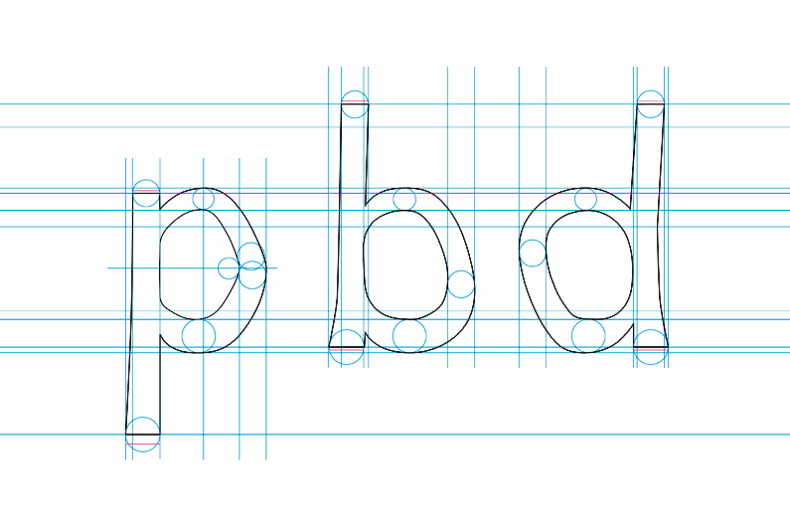 One of my favorite blogs to follow is Bleubird, she is so inspiring! AND open with her family on her blog... she has three kids and she recently posted her wedding on the blog which was more than BEAUTIFUL!.. 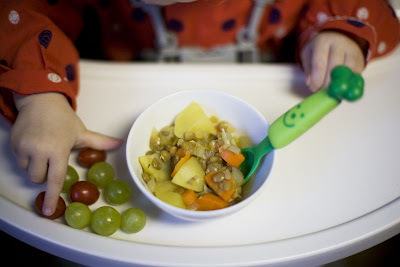 On my visit to her blog today she posted a wonderful diary on what she is feeding her 17 month old toddler - called 'Bird Food'. It looks much like what I fed my kids so I thought it would be a great blog to share with you all, and for some of you, to spark ideas on breakfast, lunch and dinner for your toddler! This will be a new series for Bleubird so you can stay tuned for more 'dishes' of her daughter Birdie (isn't that just the CUTEST name! !--but I think it's a nickname). 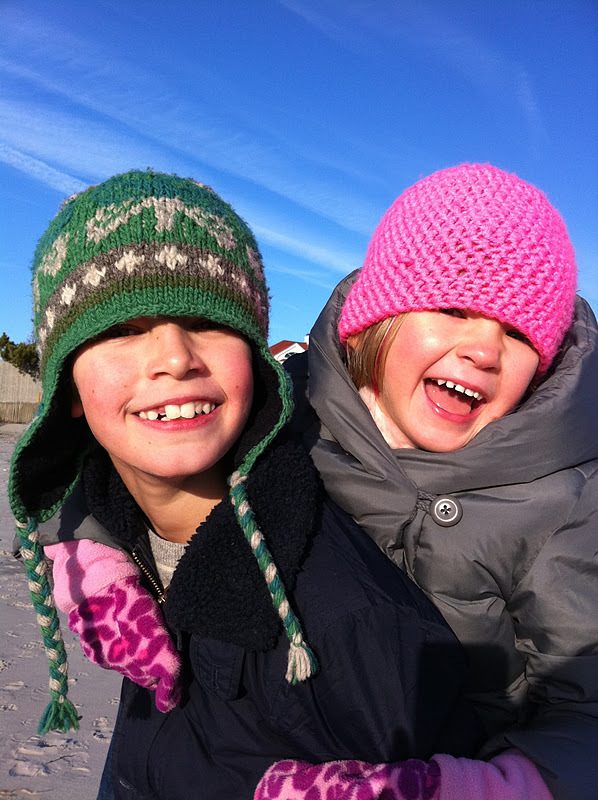 Bleubird will help you to feel free about life with your kids, they have so much fun and her kids are terrific! They are an inspiring family and I can see why her blog is so popular, I was introduced, via an email from Miss James... and was instantly hooked! and I know you will be too! visit Bleubird here and ENJOY!!!! 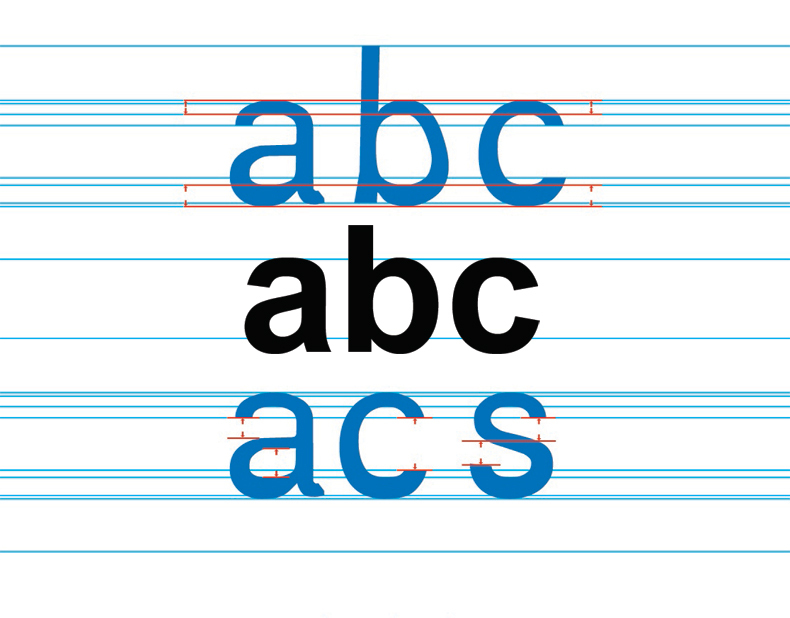 A graphic designer from the Netherlands has developed a new way to help tackle his dyslexia. 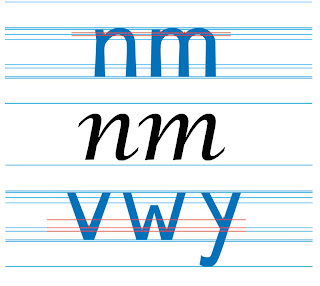 The font is called Dyslexie and it has proved to decrease the number of errors made by dyslexics while reading. 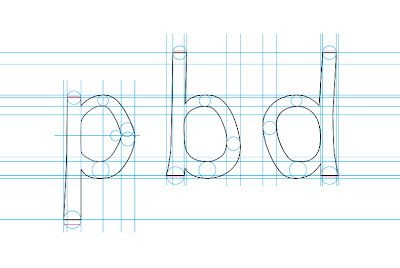 The font works by slightly changing the shapes and appearance of certain key letters of the alphabet that dyslexics have particular trouble with such as "d" and "b" to make them more recognizable. 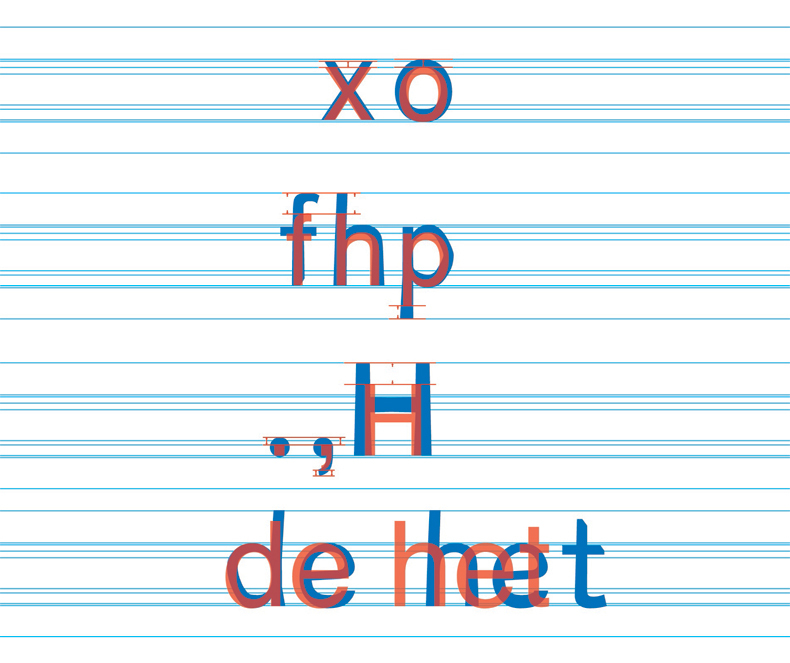 Christian Boer developed the font while at school in the Netherlands and a fellow student conducted a study and found that there was a significant reduction in reading errors by dyslexics when reading in Dyslexie as opposed to Arial font. 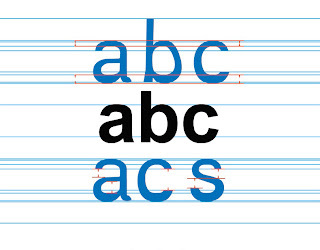 There is a full article in the Scientific American site (click here), which also let's you read the article in the Dyslexie font, that has more specific information. Considering that one in five persons is dyslexic this could be an amazing breakthrough, I also feel that his could be an AMAZING breakthrough for children. One of the first things Boer said he wanted to do was increase the boldness of letters at their base, to make them appear weighted, causing readers' brains to know not to flip them upside down, as can occur with "p" and "d". These details are fascinating and make so much sense! Most of you know my sister and how we get when we are together, this time we were too busy for ginger compresses but we still managed to talk a lot about healing and things we are both doing to stay more healthy. She had a lot to say about digestion, and I was happy about that because it's one of my ongoing issues that I never seem to tackle... we did a lot of walking, eating, and fun while I was in Minnesota over Christmastime. When we get together we spend most of our time in my sisters kitchen, I think this is true for most families over the Holidays, so we are no different. One of the best things about getting together with my family is that we don't do it often so we play a lot of catch up... I like to cook for her and she likes to share remedies and healing dishes (well this is the way we relate at the moment, it's ever-changing!). At the moment my sister is practicing more macrobiotics than we are... we are pretty far from Macro as a family. I have shared some of her priorities at the moment which are sauerkraut, sprouted seeds and nuts, (see recipes on previous blogs) no dairy, tea and there is probably more but not coming to my mind at the moment, their vice... coffee (good thing, it's the same as mine!). 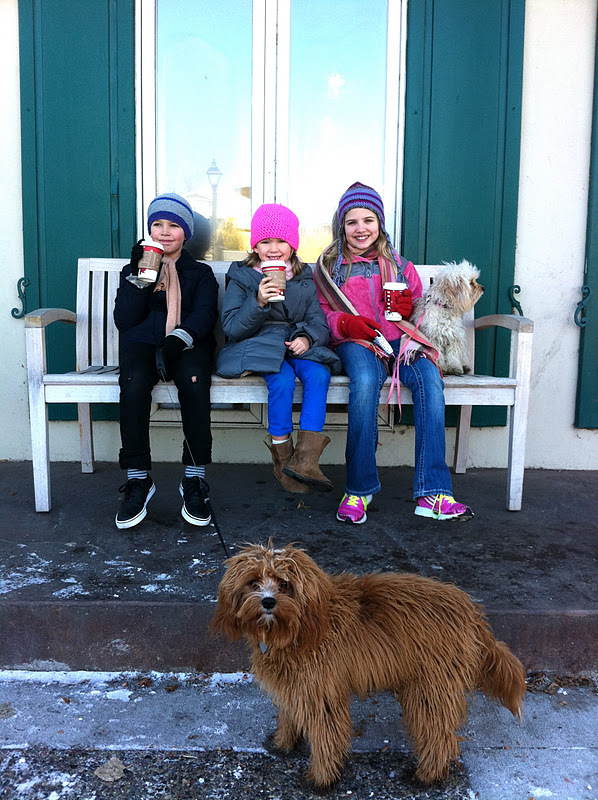 Family outings were to the amazing health food stores and co-ops that Minnesota has to offer! They are SO lucky as the local food scene is the best I've seen anywhere in the country, we like to spend hours at The Wedge and Lakewinds, we practically have to pull our mom out of there! a bit of hot chocolate after a long walk! 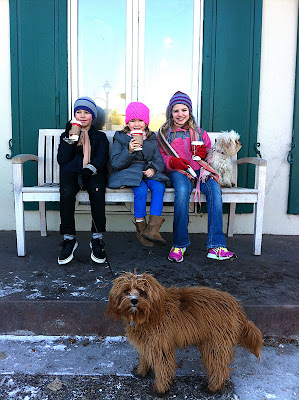 Each day we took a long family walk to... where else... the coffee shop! It was delightful for us because we live out in the middle of nowhere and can't walk into town, so my kids and I love that! There was no snow (I don't remember when this has ever happened before!) and the weather was mild so it was nice to be outside, there were ice gliders on Lake Minnetonka, which was frozen but without the snow they were all over the lake! My mom is the sweet tooth nut, she makes 6-8 different kinds of cookies for Christmas... I couldn't photograph them because we ate them so fast! 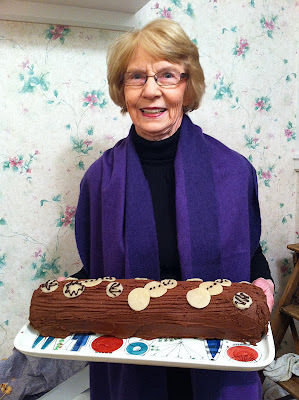 But I did manage a photo of Mor Mor holding the Jul Log! She waltzed into the party with a standing ovation! Everyone went crazy when they saw Mor Mor and her cake! I don't know how she does it but she managed over 10 Christmas parties, she made deserts for ALL of them.. she works so hard at Christmastime I could never keep up! When we got back to Rhode Island, I had a sinus pain that I have not felt since.... well LAST Christmas! 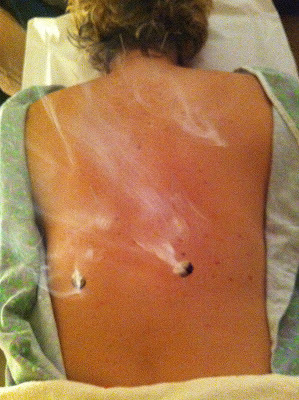 From all the sweets and crazy things we eat I was not in good shape and ended up on the acupuncture table, this is moxibustion (sp?) and a bunch of needles in my back... I am back at last, in fighting form and feel great after the treatments! 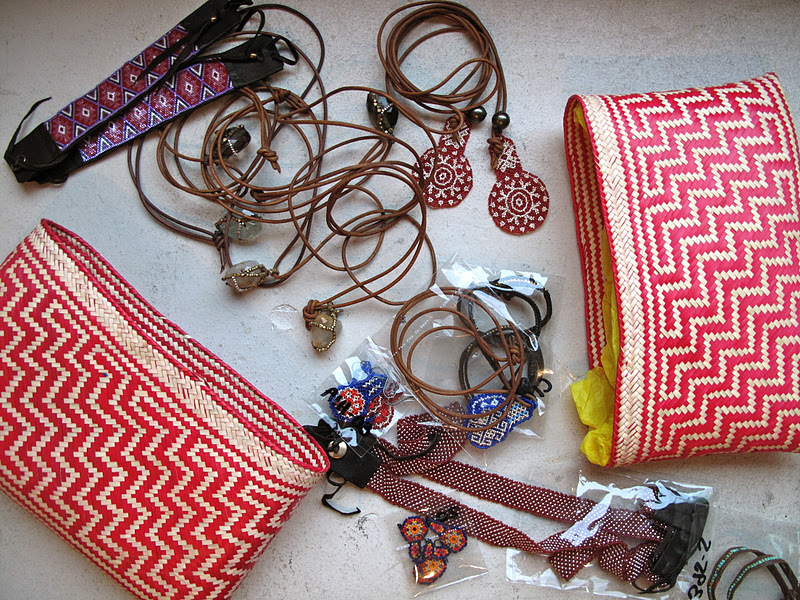 The beaded pieces are all hand loomed by each of the artists, they are filled with color and brightness. I liked these pieces because they were easy and comfortable to wear anytime, to make a statement or not! I should have them online very soon! Good digestion - I won't say it's my theme for this year but I just had a few tips that I got from my sister while we spent Christmas in Minnesota with her. They are on a big sauerkraut kick at the moment and we just joined in! I really love the idea, it's a staple on a macrobiotic plate, but somehow it's one that is usually forgotten, all the while it could be the most important! A spoonful of pickled vegetables is an important factor in helping you have a healthy digestion. 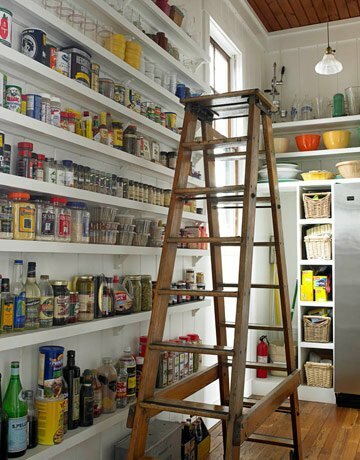 It helps to prepare your food as it goes through your system, I think of it as a bit like Drano - but it tastes better! 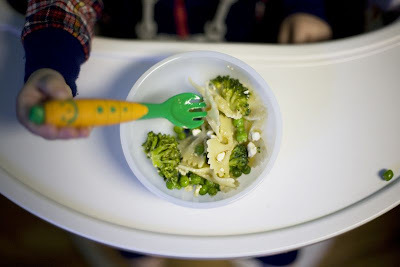 Try to include it in each meal, and try to eat it first, even kids love it! 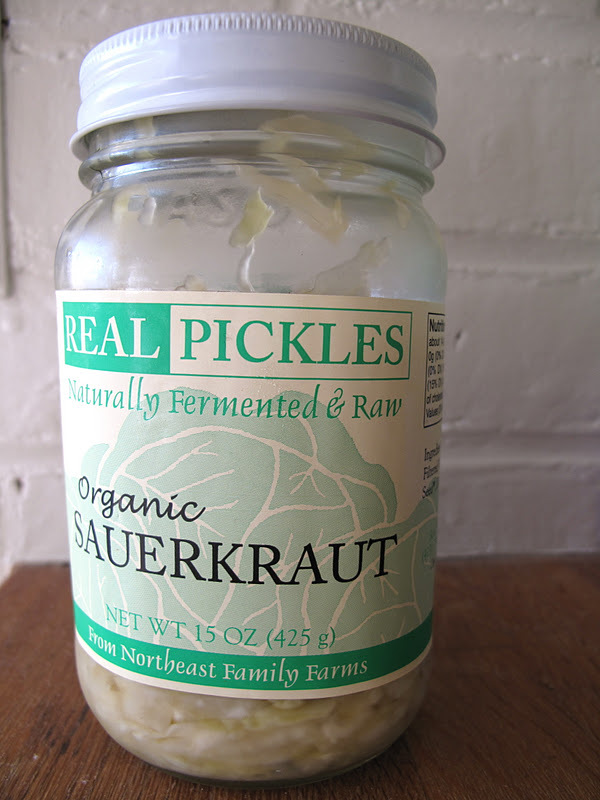 Be sure you are using a good pickled vegetable, no sugar (which is usually included in larger brands), good brands are Organic Real Pickles or even Bubbies Sauerkraut. 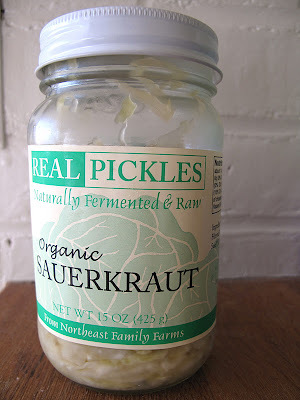 Sauerkraut is fat free and low in calories. 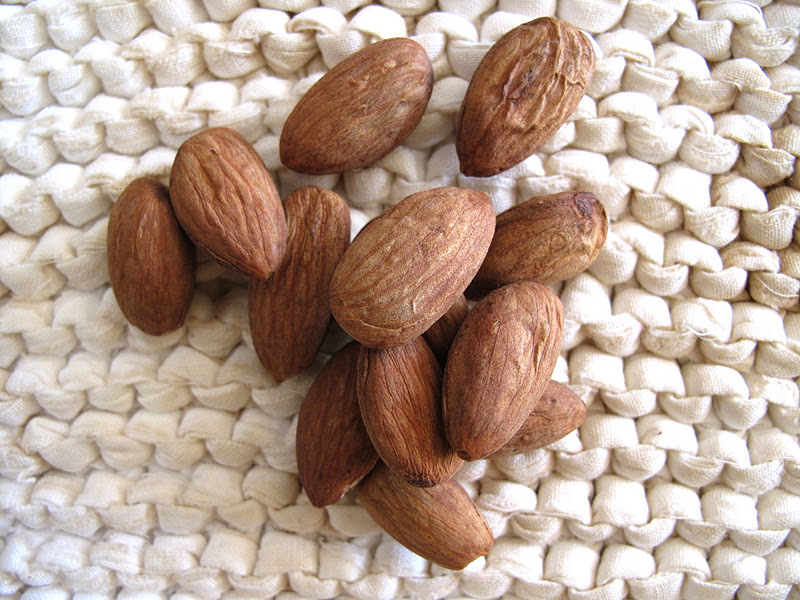 It rich in Vitamin C and contains other important nutrients including iron, calcium, potassium, phosphorus, thiamin, riboflavin, fiber, and niacin. I don't know whats going on.. but more people I know are talking about digestive trouble. I know for myself it's always been one of my 'issues' (that, and weak kidneys..) so whenever anyone gives me ideas on how to make things more digestible, I love to try them! 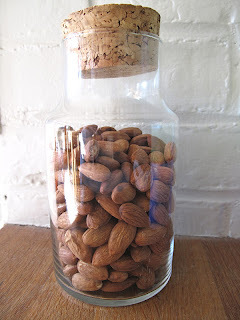 My latest and greatest is Sprouted Almonds! Soaking them, then roasting them, just makes almonds more digestible and if you are like me you will like them even better! I feel like they become more delicate and light tasting? does that make sense!? Take a bag of raw almonds (just about the amount you might eat in 5 - 7 days) and pour into a large bowl, fill with filtered water and salt to your taste (after you do this a few times you will figure it out... I put about 1 teaspoon, maybe less) - cover with a cloth and let them soak for 6 - 8 hours. Pour off the water and bake on a cookie sheet in 225 - 250 degree oven for 2 - 3 hours. They will become slightly larger (almost puffed up) and a delicious snack for the whole family! What a great idea for 2012!! 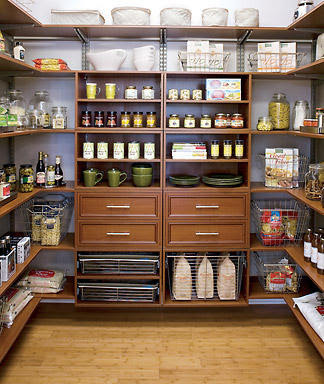 Take a real close look at your pantry, do you like what you see in there? if NOT take this time to toss it out and start with fresh new alternatives to processed foods that don't work for you and your family anymore (with your 'Be Healthy' 2012 resolution right!? ha!). 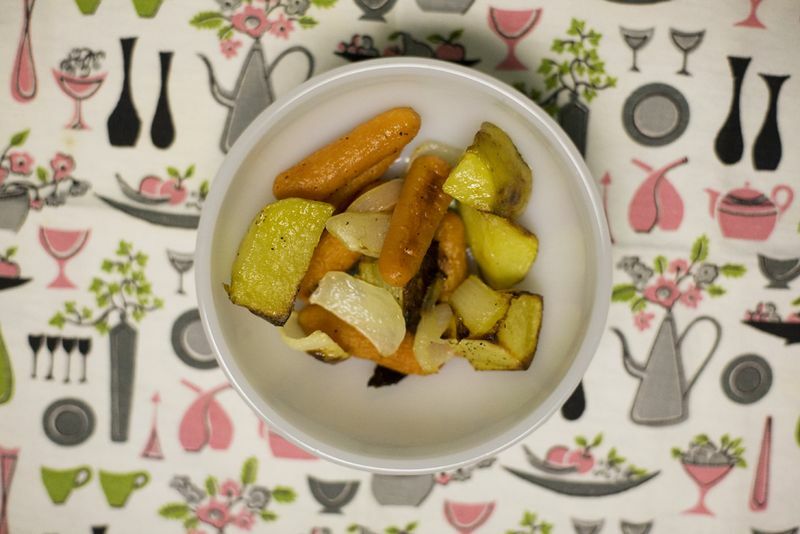 Take a good look at things you use a lot and check to see if there is a healthier alternative. In most cases you will find that there is something better you could be using. - Kuzu (or kudzu) as a thickening agent instead of corn starch - it's made from the kuzu root and you dissolve in cool water and then you can add to sauces to thicken them (they will start cloudy but when they are fully dissolved they turn clear in your food or sauce). - Agar Agar is used instead of jello or pectin - mix with fruit juices and make delicious kanten or your own jello! - exchange your white pasta for whole wheat or soba noodles! - switch your Morton salt for SEA salt - this is an easy change and it will make an impact on all of your meals and your entire families health. There are many mineral benefits that sea salt adds to your diet. - Instead of using cream in your cooking, use greek yogurt, it thickens sauces amazingly and if you have any leftover give to your kids as a snack with honey... they will LOVE it! - Green Tea - if you don't like to drink it try marinating your chicken or fish in it instead of soy or other salty/sweet options! And if you haven't picked up an issue of Martha Stewart Living lately, check it out again! Pilar Guzmán is doing an amazing job of modernizing this magazine and making it really luscious and fun to read, try it again! 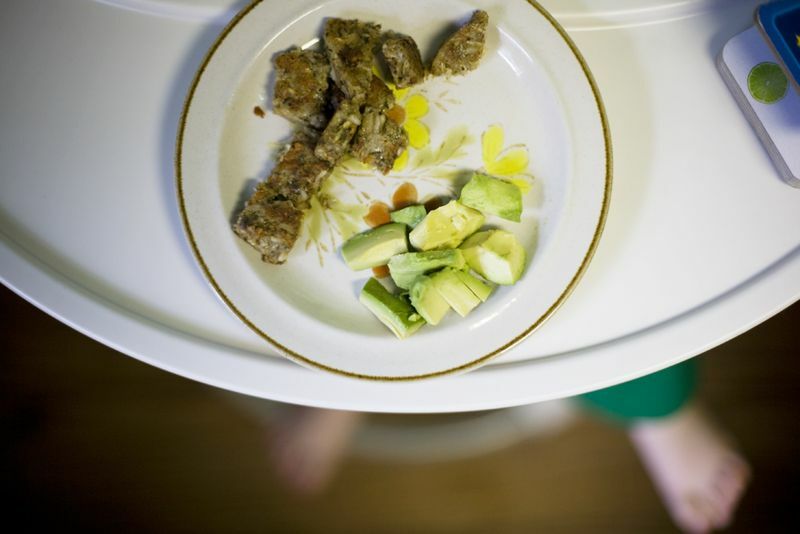 It is the diet exercise conversation, with real solutions that even for a person that doesn't make that connection will make. Especially with the skeptical Ira Flatow interviewing. These may be two different conversations but I feel that in the world of Alternative Medicine these two have similar remedies (have a feeling I will be flatened for this statement). - Apple Tea (click here for recipe) - I know this may sound too simple to be helpful but everyone I know that has tried it has really loved it and has said that it is very helpful to them, I know it's extremely helpful to me, when I am wound up and can't see my way out Apple Tea is always helpful. - Rescue Remedy - by Bachs Flower Remedies this is an overall amazing clarity boost, it's very powerful and should be used when powerful help is needed. It's also terrific for breastfeeding problems, it helps milk come in and is a great go-to for many post natal issues. Yoga and Acupuncture can play a healing role in many types of sleeplessness and depression. Think about taking a walk every day, or a run, our bodies were not made for sitting at a computer all day or in meetings, they were made for working in the fields and hunting and gathering! no!? These are all things that you can do together with whatever your doctor is prescribing and then maybe bit by bit you can come off prescription drugs. These are some suggestions, I am sure that our community has more so if you have something that works for you please share it here with a comment! 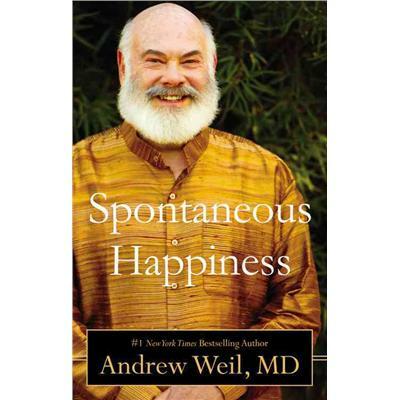 I hope that this is helpful and I really don't mean to belittle anyone if they are using sleep aides or such... it's just a suggestion to try some other alternatives that's all... and I can't wait to read Dr. Weils book! 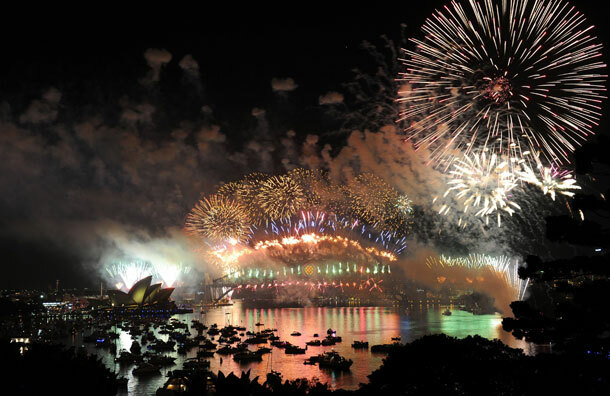 Sydney, Australia's fantastic 2012 fireworks! Exercise - last year I started running, one mile a day... foolish you may think... but it's a super easy time commitment that I can't pass up, it ONLY takes 15 minutes! I love this idea and I think that EVERYBODY should do it... in my opinion it's SOMETHING rather than nothing. Rather than taking it further I am trying to just run it faster... in this New Year. Business Goals - I LOVE my business, I really don't want to change much but I would like to have a 'brick and mortar' store that I love and I am proud of... as many of you know I have a small store in our VERY small town of Wakefield, RI but I am interested in finding a great spot for a great little store... keep your eyes peeled! We have lots of interesting plans that are a bit secret at the moment but incredibly exciting for me and some collaborations that I am really excited about! 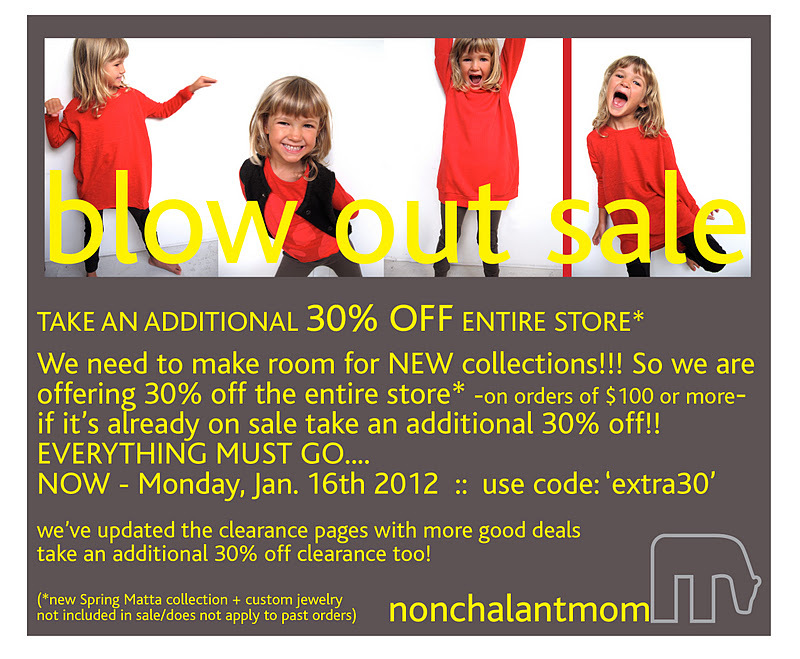 Just enough to make this year super exciting and refreshing for NonchalantMom. I am also looking forward to lighting my personal light more than I have in the past... doing things for myself, so that I grow and change, give back to my community effectively, and make me and my family proud! I hope that all of you have exciting plans for the new year - I really like the idea of 2012... it's an even number so I am sure it will be a growth year for all! Happy New Year and look forward to some good blogs that will help you pull yourself and your family together and be healthy and HAPPY!